« What is no reflow ? What is the mechanism of no reflow ? It would appear to me that one of your illustrations shown here is incorrect (www.lausd.k12.ca.us). 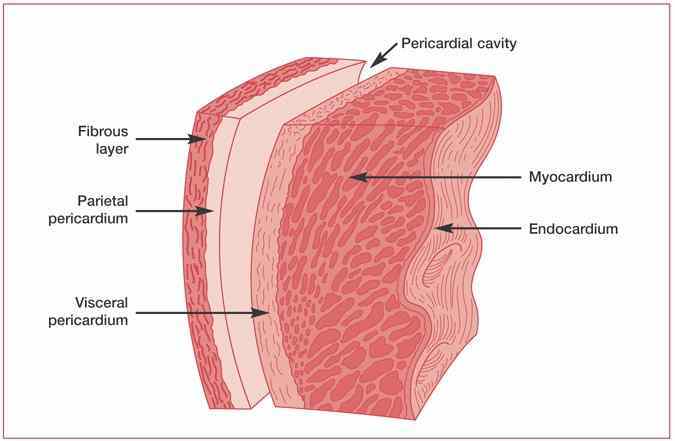 In the zoomed window, the labels for the visceral pericardium and parietal pericardium are tranpsosed. Thank you for your comment .It was indeed an error.It has been corrected.Thanks again. How many patients say they can feel the rub? I am an MD with pericarditis and can feel a velcro sensation just in the small area where the pericardium meets the chest wall in certain positions. I have read of other patients who blog the same sensation but cannot find it in the medical literature. I am interested to put this quote for an editorial of our journal Medical Journal Armed Forces India (MJAFI). The editorial is on the current unethical publication practice and emerging threats of predatory journals. Kindly confirm if you are the author of this quote. I believe the quote is mine.